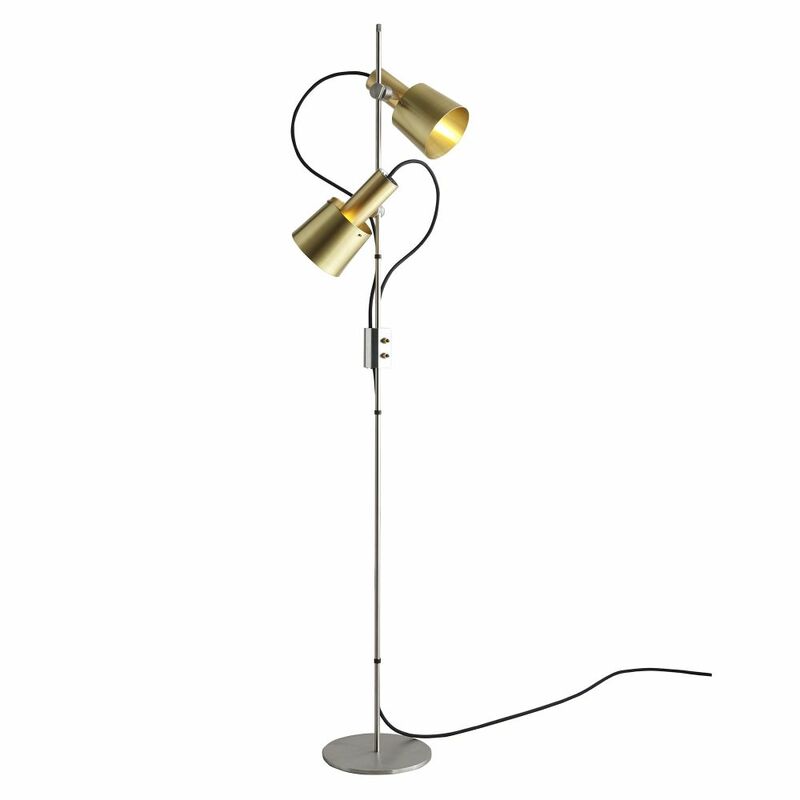 A double headed floor light, reflecting the distinctive 1960s inspiration behind the complete Chester range. Exquisite detailing, the Chester Floor Light has 2 striking shades in either satin copper or satin brass with stainless steel metal work & base. A black cotton braided cable with an inline switch provides a contemporary and practical detail.